I'm writing this blog in the air. Not in my back yard overlooking the creek. Not from a high-rise building. But from 36,000 feet, on a United Airlines jet plane. I plugged my computer into the power point, strengthening the battery for the long haul 13-hour flight, signed up for the Wi-Fi service, and began working as if I were in the office in Sydney. Only I was sitting in seat 33 and not standing at our work stations in Bondi. Otherwise, it felt the same. Answering emails, uploading photos to Flickr and to our Social Media calendar for the weeks ahead, And sending this blog to the blogosphere....it all seemed so ordinary. BUT IT'S NOT ORDINARY! When you think about it, it's fascinating. 350 other people are with me, flying at 800-1000 kph, across the Pacific Ocean, and I'm typing like I'm sitting in an office back home. You couldn't even get normal people 50 years ago to 'get it' about this one, could you? Other things fascinate me, like watching magicians perform publicly, and trying to figure out how they do that! 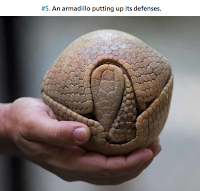 This defensive ball of an armadillo amazes me as does watching fairly drunk men in a pub throw very sharp darts at a little circular cork board. Standard height from the floor to the bullseye on the dartboard is 5 feet 8 inches, while the oche (distance between the front of the board and the toeline) should measure 7 feet 9.25 inches. How do they even see the dart board, much less hit it and calculate backwards from 501 to gain dart game supremacy? Fascinating. What fascinates you? What intrigues you? What grabs your attention? I like Agur the son of Jakeh who penned those words. I too am fascinated by so many things, including how I'm able to stay up here in the air, or an eagle can do that, how a ship below can make it over the course of weeks, and that whole man/ woman curiosity. I get it. I mean, I don't get it. Which is what fascinates me. Two days before Christmas, just as I was readying to exit for a somewhat lengthy holiday, our office received an email from a Jewish man out west. His language and tone were such that I had to answer it and enquire about his religious journey. When the next day he and I spoke on the phone and he prayed to receive Jesus as his Messiah and Lord, I was again fascinated (or as Aussies usually say, gobsmacked). Why does it take 20 hours for some and 20 years for others. My grandmother heard me testify about Yeshua in 1971 when I got saved, but it wasn't until 1991 when she gave her life to Him. What it is that gives us opportunity after opportunity to witness of God's love to some, and others won't even give us a chance to speak for a moment? It's God's plans, and God's sovereignty. And we rest in that. And we rest in Him. Stop to ponder something just now which is full of wonder. Something which is 'beyond' the normal of your life. 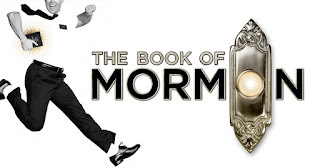 The Hebrew word is להקסים (L'haksim) which carries alternate meanings of "intrigue , matter to , interest ; transfix , grip , spellbind , interest ; capture , enamour , trance , catch , becharm , enamor , captivate , beguile , charm , bewitch , entrance , enchant , attract , appeal... Definitely not the normal. I appreciate the Christians of the Great Southland of the Holy Spirit. I moved to Australia in 1998 and although we had very very little by way of support, the believers here have not only taken our mission on board as worthy of support, but they also come to buy products at the shop (or order online), volunteer with us, send money monthly or once in a while... it's amazing, it's fascinating. God nods to us through you, and we are grateful. Let God captivate you the rest of January and the rest of the year with His love and surprises. Fascination is a word we don't use much in todays' English language, especially here in Australia...I have never flown but have been fascinated by technology to fly a plane without human control...never been out of the country... but I am fascinated because it is such an oddity that as you have said Bob, desiring to see people saved can take 20 years for some and 20 minutes or hours for others. Some people won't even let you get a word in about God but instead blame God for their problem's. How can you blame a God you don't believe in? This girl I have been trying to talk about God to just basically laughed and said I was tripping...if you know what I mean by that. It fascinates me that people know about God but don't want to believe in God, much less have a relationship with God. In fact it's not just fascinating, it's frustrating. It tests my patience, my perseverance and my character. I sometimes wonder whether I am wasting my time. So I have a fascinating question: Why does God have people take so long to make a decision for Christ? If He wants abetter world why doesn't He make it easier? Why let us struggle? Baseman, God wants people to make personal decisions to profess their love for Him. Robots don't bring much real love to their owners.